An unforgettable story that will linger in my memory for many years to come especially the characters of Rex and Rosemary Walls whose originality cannot ever be creatively or imaginatively devised. 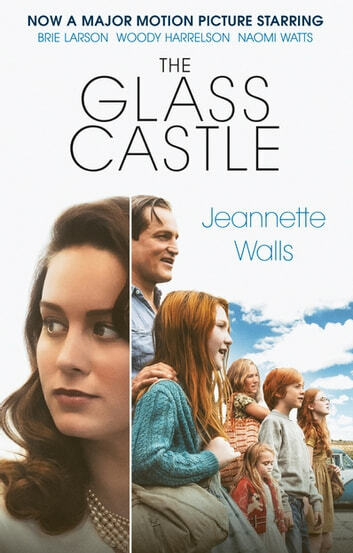 Jeannette Walls' story flows with ease through the pages, that I did not realize the pages turning, and reading the book from my iPad makes this effect even seamless. Not only did the originality, unpredictability and sometimes shocking content of this story kept me reading but the brevity in language makes this a well written piece. A story of a childhood that you want to escape, parents that embarrass you, running away from your past, hope of a new future , making amends and finally learning acceptance. I absolutely recommend this to anyone who had children for parents and had to make it on their own. Thumbs up!! Absorbing disturbing but very real about life and choices one makes. It's hard to recommend this book enough. Words do not do it justice. I hope the film does ..... just read it.